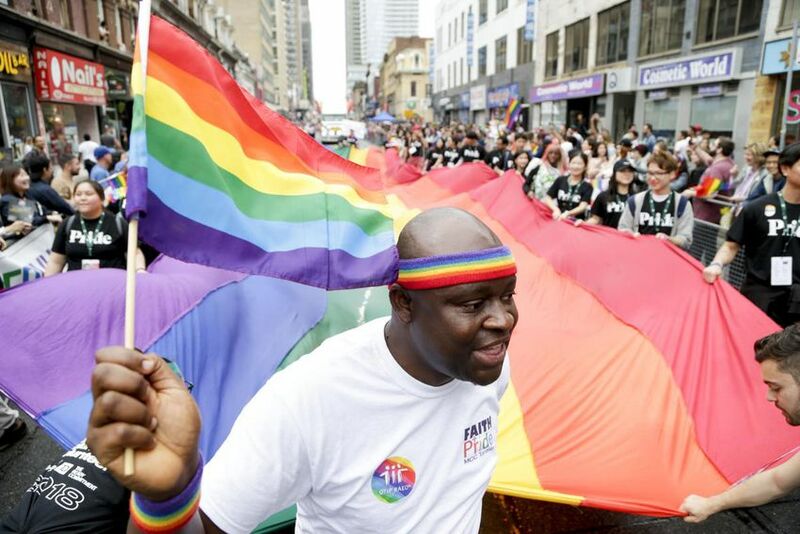 Clad in symbolic black attire, Pride Toronto executive director Olivia Nuamah jumped out of her motorcade, hugged Mayor John Tory and the two started marching and waving to a cheering crowd. 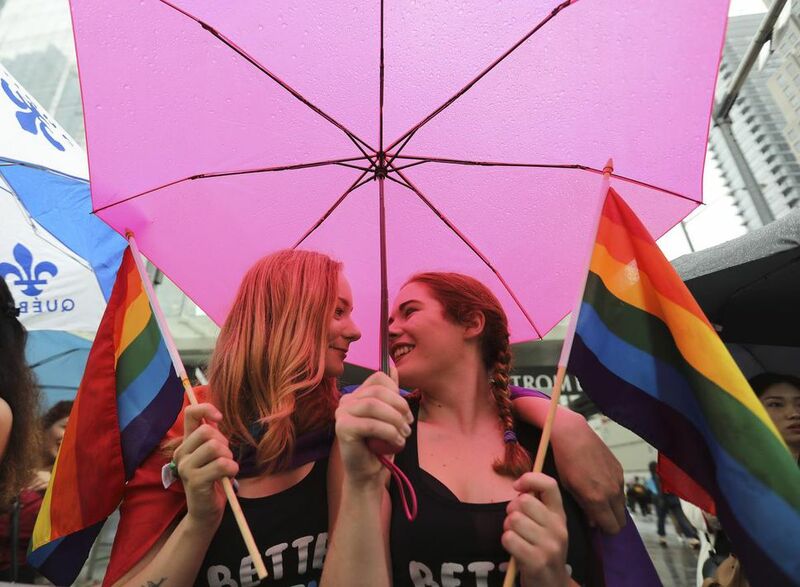 The 38th annual Pride Parade was officially underway, with hundreds of thousands of participants and attendees braving a heavy downpour on Sunday to proudly march down the traditional route on Yonge St., from Church-Bloor to Dundas Square. 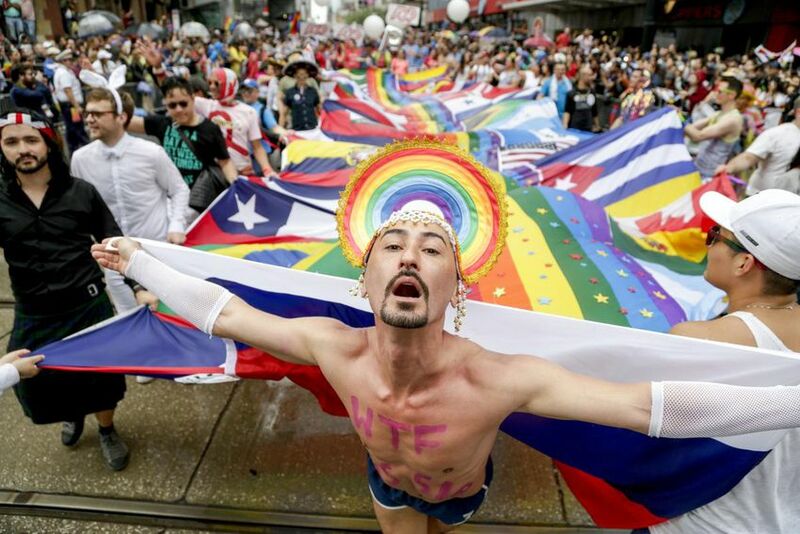 More than 120 groups took part, blaring music from floats, waving rainbow-coloured flags, shooting water guns and carrying signs with various messages of love, peace, diversity and the importance of LGBTQ community’s activism to fight against HIV/AIDS. Nuamah, who took over the reign of Pride Toronto last year at a time when the community’s relationship with police was turning sour, has been trying to shift the focus back on the celebration of queer culture. 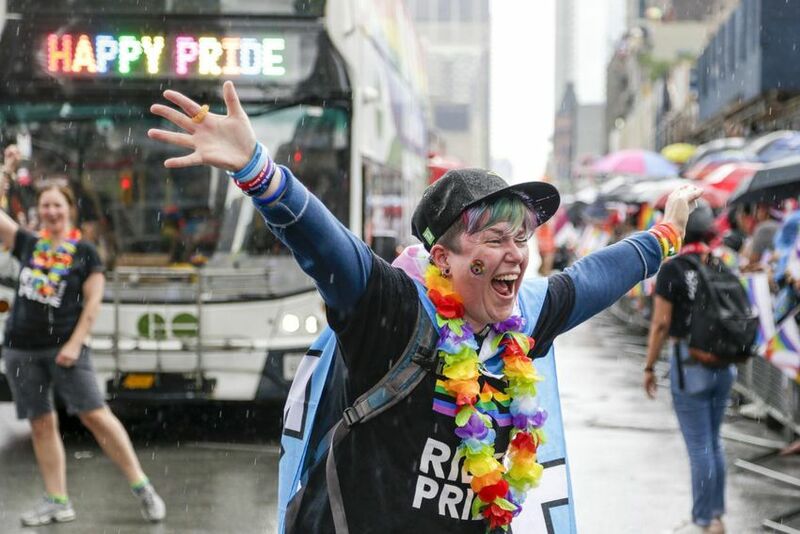 Pride activities this year have centred on improving health and wellness, as well as the community’s vulnerability in the face of many challenges. “We are really trying hard to bolster those community elements at the parade this year,” she said. 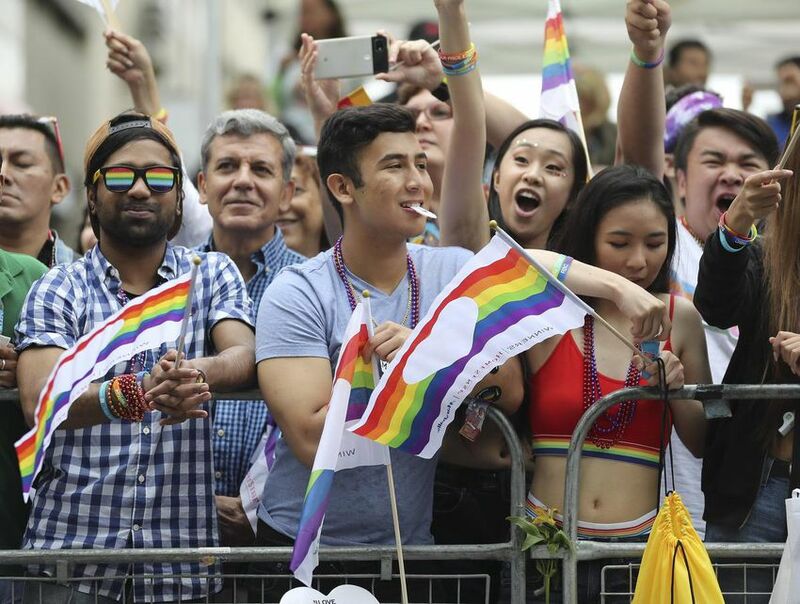 But Sunday’s celebrations — as well as other Pride events throughout June — took place amidst growing concerns about safety within the LGBTQ community. In January, 66-year-old Toronto landscaper and alleged serial killer Bruce McArthur was charged with eight counts of first-degree murder connected to the disappearance of men from Toronto’s Gay Village. The community has questioned how the police handled these cases, adding stress to an already shaky relationship. At 3 p.m. Sunday, participants observed a minute of silence in remembrance of the eight victims, and a special march called “Until We Are Safe” took place immediately after the parade. 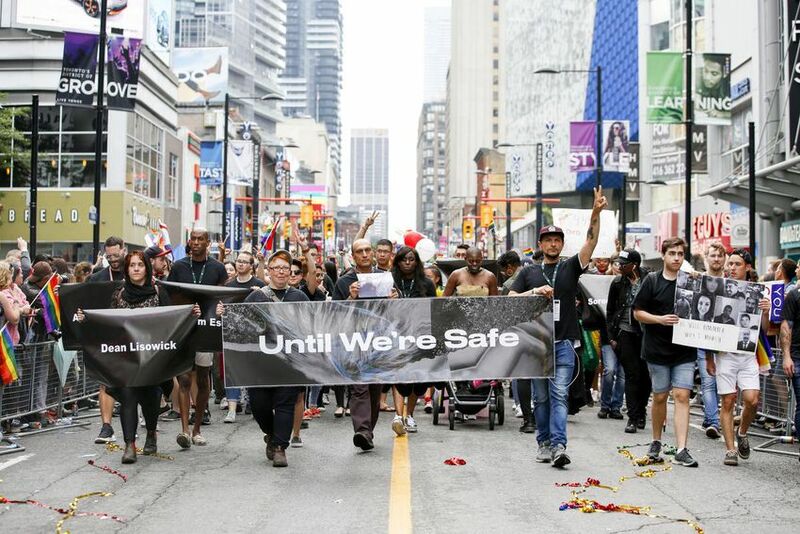 Two years ago, activists from Black Lives Matter brought the Pride Parade to a halt demanding, among other things, police be banned from marching in uniform. 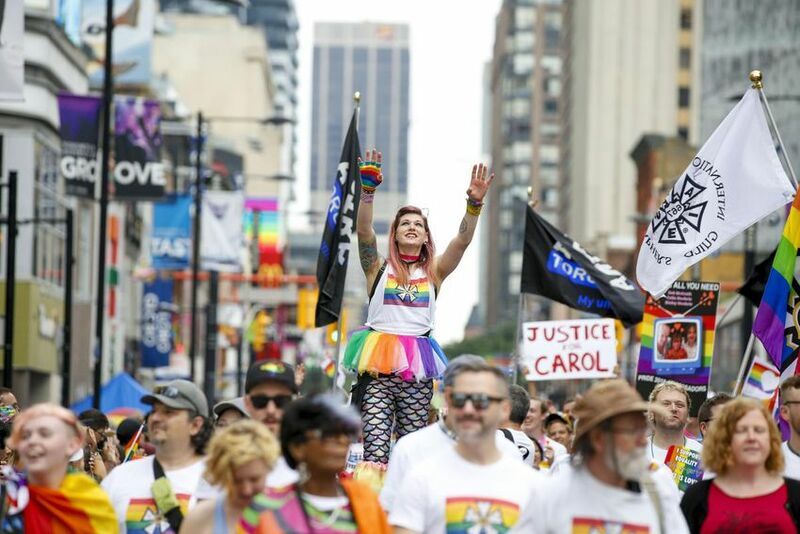 Toronto police didn’t match last year, and this year they were pressured to withdraw an attempt to participate, a decision Toronto police Chief Mark Saunders said was reached to avoid any setback in the relationship with Toronto’s queer community. Pride reveller Henry Luyombya said he supports the decision to ban police from marching while in uniform. “At some point we have to say enough is enough in terms of systemic oppression,” said Luyombya, a peer researcher with the Committee for Accessible AIDS Treatment. Federal NDP Leader Jagmeet Singh also commented on the issue of broken trust between police and the LGBTQ community, noting trust is “the only way” that can allow people to have discussions on issues affecting them. “There is so much that needs to be done,” Singh said. 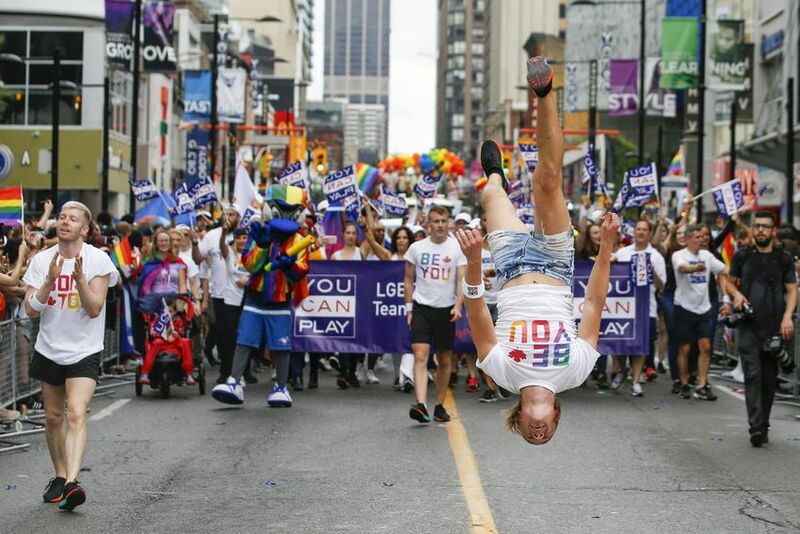 Tory called Pride celebrations a part of the healing process in the wake of “terrible tragedies” that the city, and the LGBTQ community in particular, has experienced. 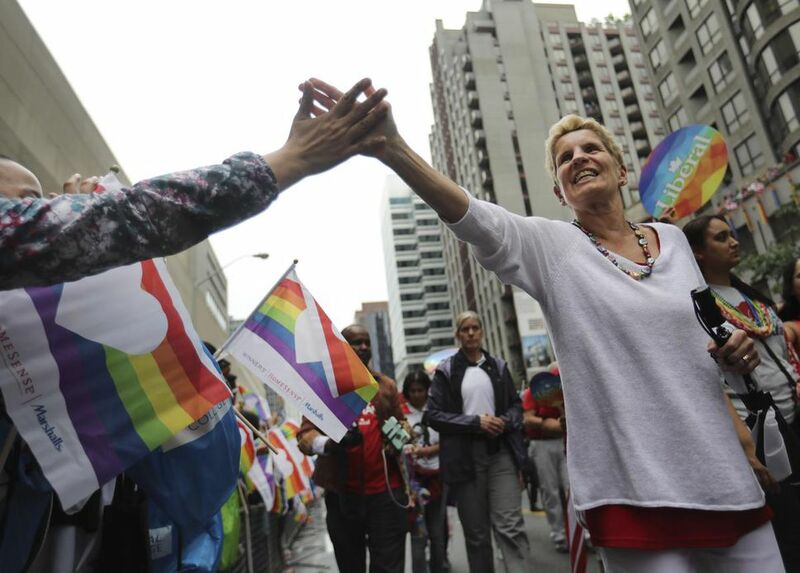 Many local politicians were seen participating in the parade, including city councillors, MPPs and MPs. 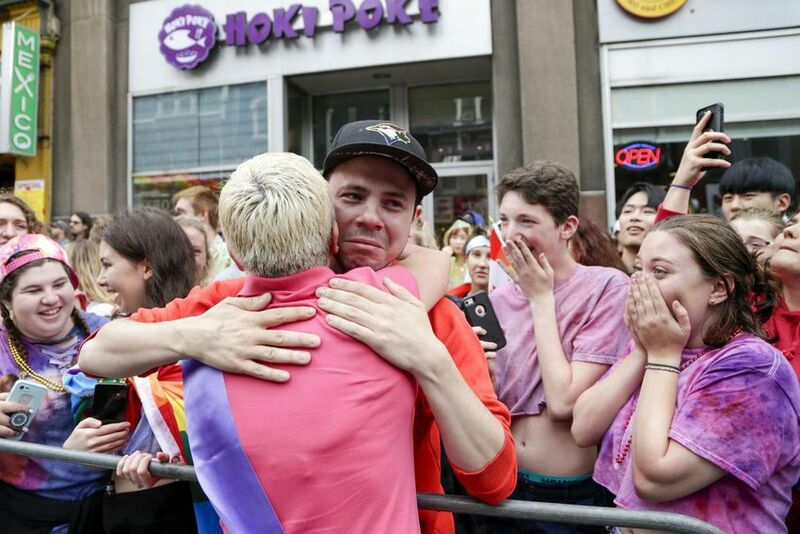 Prime Minister Justin Trudeau, who made history in 2016 as the first sitting leader of the country to attend Pride Parade, missed Sunday’s event as he was in Quebec for the St. Jean-Baptiste Day festivities. Outgoing premier Kathleen Wynne took part, but Ontario premier-elect Doug Ford did not attend, having previously said he’d only consider taking part if the police were allowed to march. “Everybody has to make their choices as to where and why and how and when they show up to things,” said Tory, about Ford’s absence. “I’m going to be here every year because this is something that’s important to our city.